Life can get a bit heavy at times, that's why it is always good to step back and enjoy yourself. Sharliza Jelita is one of those people who doesn't take life too seriously, being zany actually keeps you sane! While at Warwick University, Sharliza was often seen jumping around at various venues with her band The Rrrs. The energy on stage oozed out into the audience and always left a favourable impression. 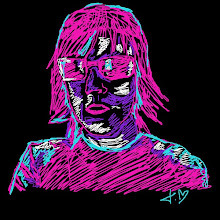 After finishing at uni the reality of work and making a living came home and the band went their separate ways. Yet the desire to perform never left Sharliza, who yearned for a return to the stage. The video above is a triumphant return to the music world - with Sharliza on vocals, you don't just get a song ..... you get theatre and a performance worth watching again and again. We need people like Sharliza to help us escape the woes of this world and just enjoy life. No Go Pogo is the perfect summer song you could skip through the fields singing along too or blast out as you are getting ready for a night out with friends. The world would be a much happier, creative place if we could have a few more people like Sharliza Jelita. So if you ever need cheering up, buy this song and blast it out because you are guaranteed to feel happier after a dose of Sharliza - just what the doctor ordered! Buy 'No Go Pogo' on Amazon for just 69p! Coventry's legendary Mercia radio station is dumping the city in favour of Birmingham after 31 years in the heart of Coventry. Top presenters like John Dalziel (JD) and Andy Goulding will be forced to move across to the Birmingham BRMB studio. Mercia owners Orion Media, which bought the station from GCap Media in June 2009, released a statement saying, "Mercia will of course continue to serve Coventry and Warwickshire with local output specifically made for the area throughout the majority of the day." For news reporters it will mean re-applying for their jobs as Orion Media will be cutting the number of journalists from 10 to 8 across the West Midlands, resulting in less local stories from Coventry. Mercia will also have less programmes designated to the people of Coventry and Warwickshire as it seeks to reduce costs by broadcasting programmes across BRMB and Mercia. The station will no longer have it's own mid morning show, the first casualty of the cuts being enforced by Orion Media. 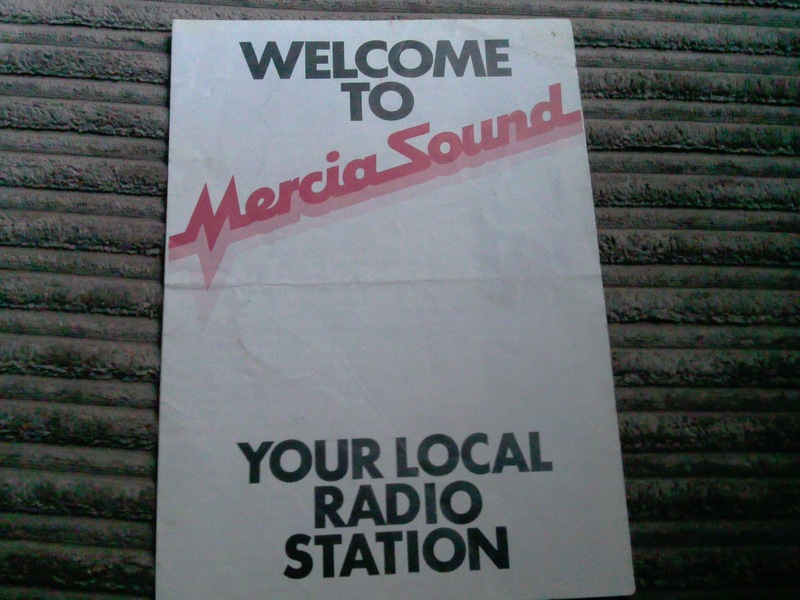 Many people will remember the launch of Mercia Sound in Coventry on May 23rd 1980, offering a new independent sound to the area. The station quickly became popular, broadcasting for 19 hours daily and allowing listeners to pop into the Hertford Place studio and place requests. DJ Stuart Linnell was the presenter of the 'Afternoon Delight' show, which aired between 1pm and 4pm weekdays as well as the 'Sportacular' programme on Saturdays. Stuart reacted to the news about Mercia moving out of Coventry by saying, "While I understand that things change and economically times are tough, I note Mercia's move out of Coventry with some sadness, it was a great place to work and I was proud to be part of the Day One team at Mercia Sound (as it then was) and, later, Mercia's Programme Controller and Managing Director." Stuart Linnell went on to recount some of his memories at Mercia, "I remember several thousand people surrounding the building when Cliff Richard stopped by for a live interview one afternoon, a similar response when The Bee Gees were there and a massive crowd that turned up from nowhere when Bob Geldof came in with no prior on-air announcement. Not to mention the hilarious afternoon that the rising young TV star Michael Barrymore was introduced to his co-star in that year's Coventry Theatre panto, Lenny The Lion, or the day Pete Waterman spent recording a 6-part series telling his life story and the memorable moment that Dave Jamieson interrupted his programme to announce the sinking of HMS Coventry at the Falklands." Although Stuart now works for BBC Coventry and Warwickshire, he very much enjoyed his time at Mercia recalling when, "an unsuspecting Bernie Keith was "arrested" live on-air by Coventry police in the midst of interviewing David "Kid" Jensen who then took over and presented the rest of Bernie's Breakfast Show.Then there were the superb events we held there during the year - the annual Cathedral Carol Service after-party, the Snowball Appeal "radiothon", the sports forums and live music events." When Trinity Media took over the Coventry Telegraph and eventually moved production of the newspaper out of the city, many local people felt the newspaper had lost it's heart and ceased being a truly local newspaper. Now listeners may begin to feel the same about Mercia radio when it moves to Birmingham. Already a Facebook page has been set up entitled 'Keep Mercia In Coventry'. 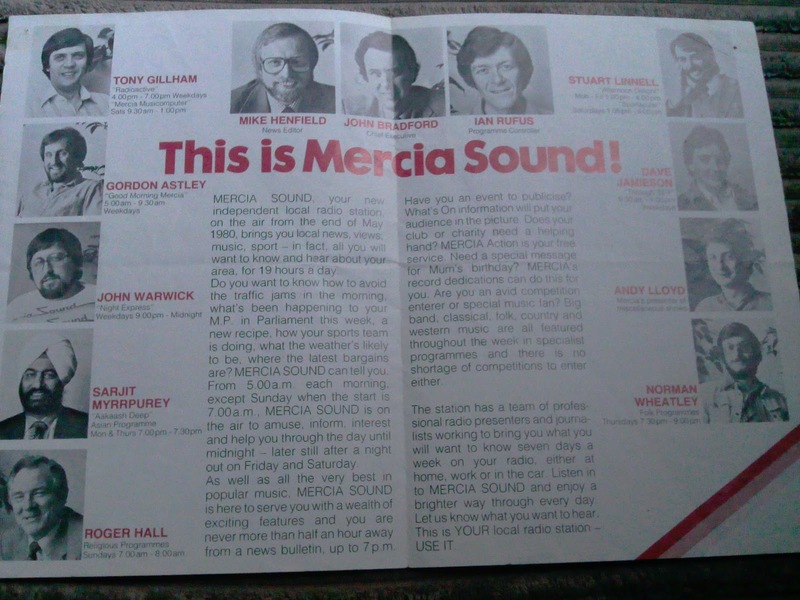 For me personally, I remember the launch of Mercia Sound in 1980. As a Coventry kid we loved being able to pop into the studio and look around and the "220 Medium Wave" jingle would never leave our memory. 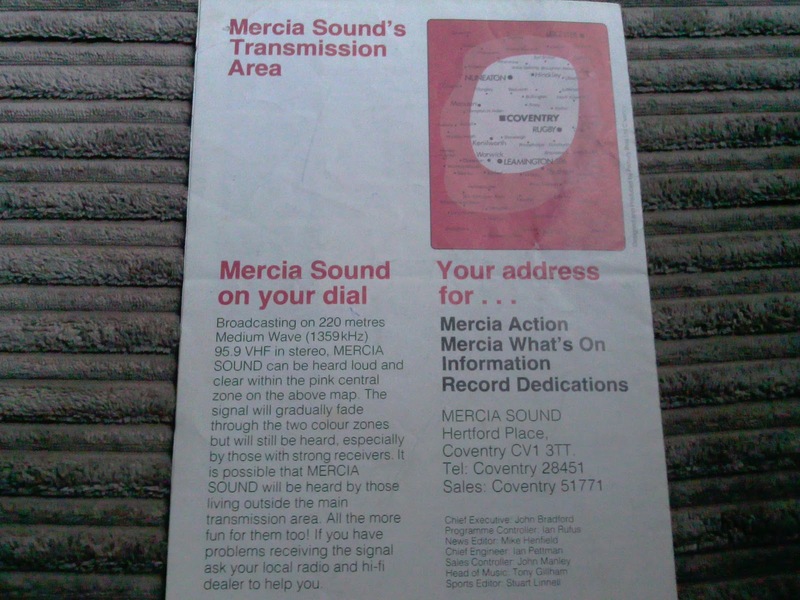 Everywhere you went around Coventry you would see Mercia Sound car stickers, and although we never owned a car - I proudly displayed mine in my bedroom window!